Photo taken at the Caledonia Fairgrounds, Ontario in June of 2002. 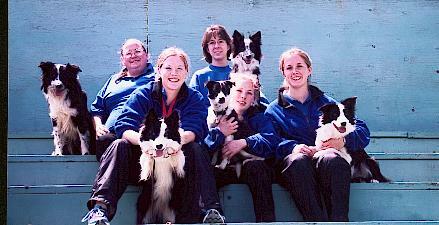 Missing are height dog, Taz, and her handler Robyn, and also the Bishops and sheltie, Merlin. 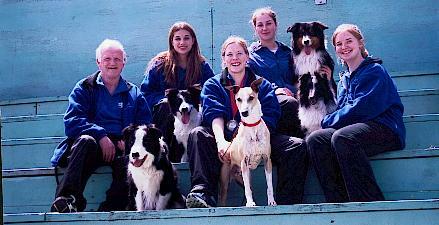 We have been to the height of Flyball stardom and held the title of NAFA Champion for 3 years straight in the years 1992 through 1994. Many of our now present NAFA rules exist now because of some McCann innovation. Please come in and visit our pages. 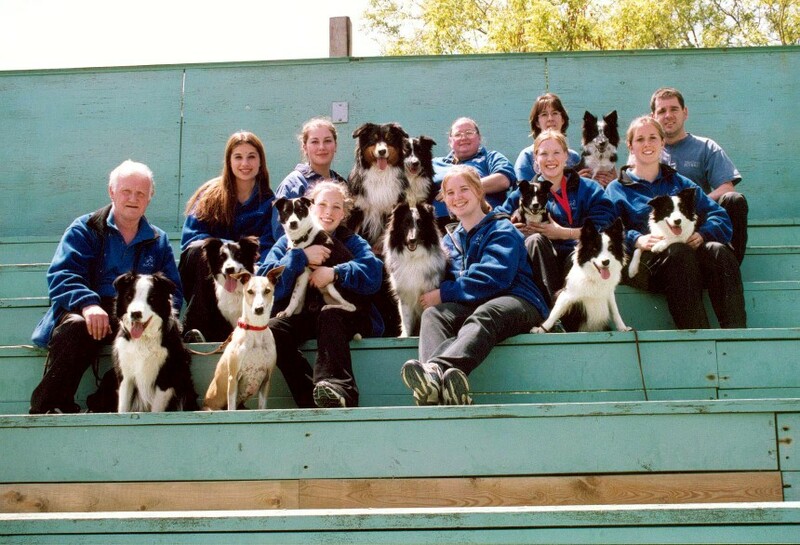 Even though as a team we have "taken it down a notch" we are still very active in flyball, and still very much in love with the sport. This team ran in the low 18's over 13 inches all weekend. Our Mach II team for the weekend.